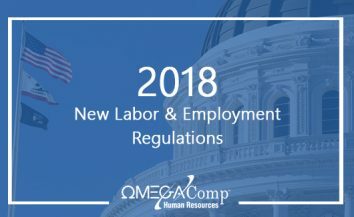 Whether you have 10 employees or 1,000, OmegaComp HR will customize a solution to help decrease HR exposures and increase the time available to focus on core competencies. We are your outsourcing payroll and HR provider. By professionally administering human resources, compliance, payroll, safety, and benefits on an outsourced basis, we help reduce business risk and cost. Delivering outsourcing HR support and administration through an effective, budget‐friendly model. Maintaining OSHA related compliance is no easy task. Allow us to lighten your load and assist with Cal/OSHA requirements. Payroll clients benefit from accurate and efficient payroll and timekeeping solutions. From tax filings to mobile entry, we’ve got you covered. Coordinating with your broker or working directly with your staff, our outsourcing payroll and HR solution will simplify benefits administration. Options to manage your current workers’ comp policy or shop and secure policy coverage. as a member of your HR team. Customization: Administrative solutions tailored to fit your firm’s specific needs. Flexibility: Options for single service, mix and match or bundle for full service support. Accessibility: Our team of experts are accessible 24/7 for HR and OSHA related emergencies. Responsive: When you need answers, you need them now. OmegaComp HR experts are highly responsive. 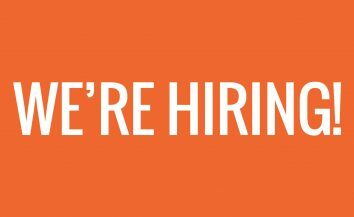 Industry Expertise: Auto, real estate construction, non-profits, hospitality, tech, retail, healthcare, finance, and professional services. I have to say I am very pleased with OmegaComp HR's services. This part of my business (HR Administration) has been a huge headache over the last 14 years I can't believe I didn't know about this possibility sooner. OmegaComp HR really is beyond comparison. After suffering through call centers and a different rep every few weeks from my former "big box" payroll provider, I couldn't be happier with the switch to OmegaComp HR. They are definitely more service oriented with payroll and saved me a small fortune by quickly resolving an employee harassment matter. 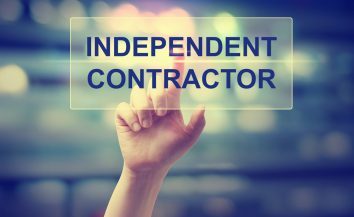 My insured continues to be impressed with your whole team's support and responsiveness. He feels he is getting that concierge service you sold him. Thank you! I really appreciate the service we've received to date. Especially your payroll team, they've always been so patient with me and my list minute antics! And thank you for being so thorough in ensuring we're satisfied with service. OmegaComp HR has been a blessing for my small business. 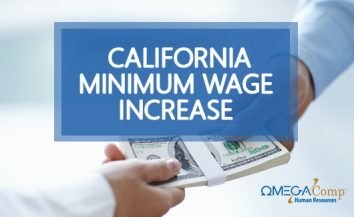 Their team provides a high level of expert HR assistace and I have come to rely on them daily for payroll and HR advice when dealing with CA labor laws and my employees. Classifying workers correctly is a vital decision to be made with careful thought and consideration. 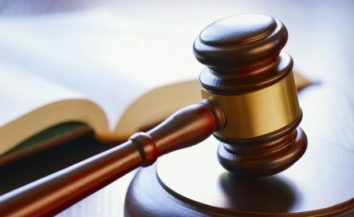 Making sure you pay employees fair wages, assign correct classifications, and abiding by other employment laws is key to avoiding costly fines. Recruiting and hiring techniques in a competitive employee marketplace; when employers need to get creative. 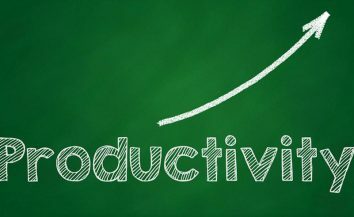 Navigating business challenges and productivity can make or break profit margins. Learn tips and tricks on how to manage smarter. 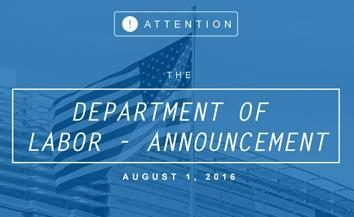 The SB 1343 passed on September 30, 2018, requires employers with five or more employees provide sexual harassment training to all staff. Successful companies are not a result of accidents or luck, but rather an analysis of situations, preparation and proper execution of plans. 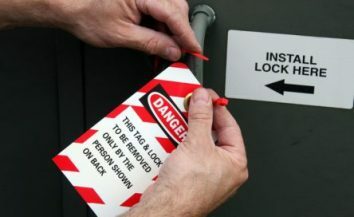 All employees, supervisors, and safety officers around machinery and equipment in the workplace need to fully understand, receive training, and follow lockout/tagout procedures. 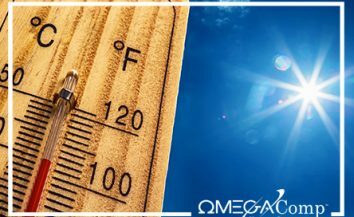 As we move into the warmer summer months, it is crucial for employers to start preparing for higher temperatures in the work environment. 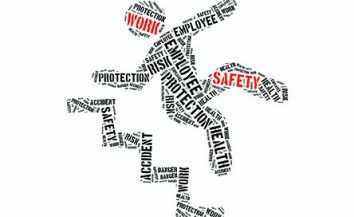 Having a safety-focused culture in the workplace is important, as it works hand-in-hand with your Safety Plans to reduce risks and exposures. 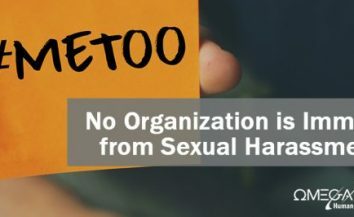 Is #MeToo Affecting Your Organization? Unlawful harassment and discrimination in the workplace continue to be a very real threat to even the smallest workplaces today. 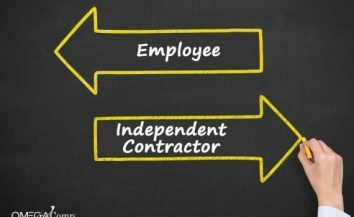 It is important to correctly classify a worker as an employee or an independent contractor to avoid significant fines and penalties. Flu cases can spread easily in workplaces through coughs and sneezes. Help your employees stay healthy and productive this flu season! 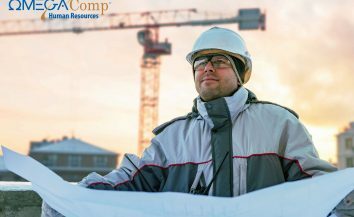 Anyone working in a cold environment such as construction workers, can be at risk for cold stress. The FUTA2 Credit Reduction What is it? 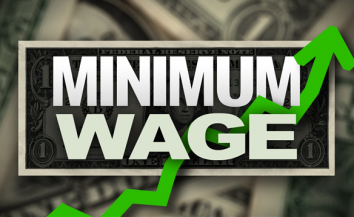 For-profit employers pay federal (FUTA) and state unemployment insurance (UI) taxes on wages paid. 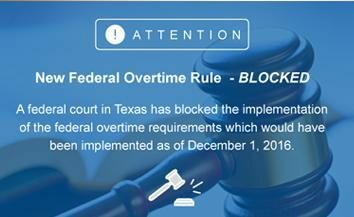 Federal Overtime Rule has been Blocked! The FUTA Credit Reduction What is it? 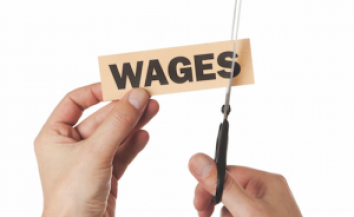 For-profit employers pay federal (FUTA) and state unemployment insurance (UI) taxes on wages paid. OmegaComp HR delivers complete, yet flexible employee administration solutions. 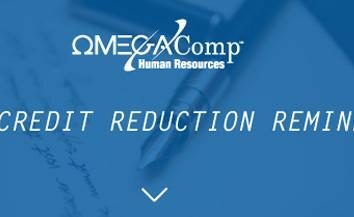 Specializing in HR, Safety, Payroll, and Benefits related compliance support, OmegaComp HR provides clients with a competitive advantage by reducing administrative costs, saving valuable time, and minimizing employee related exposures.